As I mentioned earlier in the week, one night a week is now dedicated to red meat and the other six are either poultry, vegetarian, or pescatarian. I think John was really looking forward to this night! 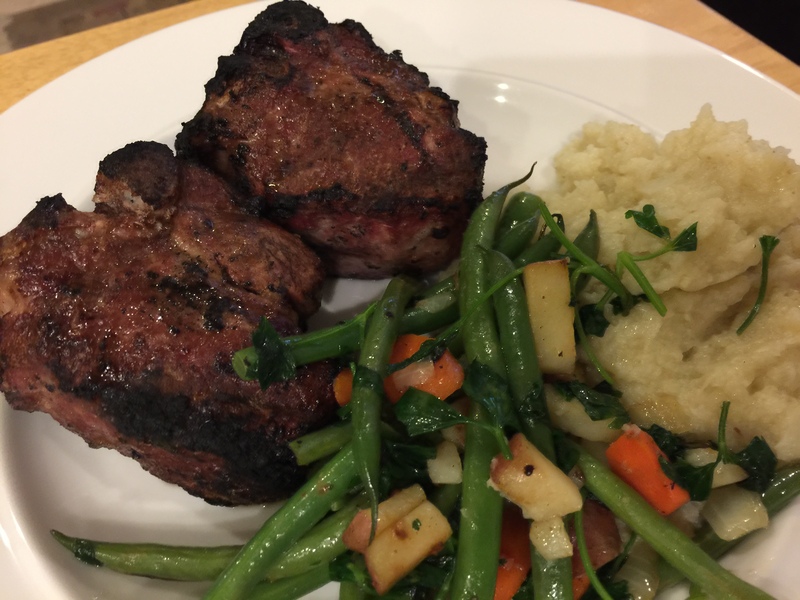 John grilled up some loin lamb chops and I made cauliflower mash and green beans. I cooked the cauliflower in the Instant Pot to cut down on heating up the kitchen and once it was done I sauteed the beans in the same rinsed out pot – not too many dishes to wash! This entry was posted in American, Grilling, Kitchen tips, Lamb, Vegetables and tagged cauliflower, green beans, lamb chops. Bookmark the permalink.